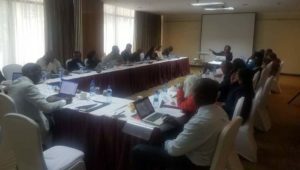 The “Institute for Human Rights and Development in Africa” (IHRDA) is organizing a training workshop for members of the “Litigants’ Group for the Strengthening of the Protective Mandate of the African Commission on Human and Peoples’ Rights” (the Litigants’ Group), on transitional justice litigation and advocacy before the African Commission. 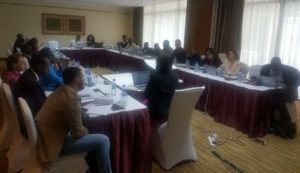 The workshop runs from 29-30 November 2018 in Nairobi, Kenya. The aim of the workshop is to enhance the capacity and role the Litigants’ Group to engage in litigation and advocacy before the African Commission on transitional justice issues. The workshop will focus on aspects of litigating cases that arise in conflict or post-conflict settings, including massive and serious violations perpetrated during conflicts and authoritarian regimes. While many Litigants’ Group members are familiar with the African human rights system, the emphasis of the workshop is to address the challenges that such cases pose for litigants wishing to file cases, and strategies for overcoming the procedural (or other) hurdles. Sessions will address strategic litigation of transitional justice related cases, tackling procedural requirements, applying the African Charter to such cases, gathering adequate and relevant evidence for the violations, and the process of documenting the violations for litigation or related advocacy before the African Commission. It will also explore strategies to overcome some of the hurdles, both in litigation and case-building in the field to successfully litigate such cases. It should be noted that this activity is organized within the framework of a project funded by “The John D. and Catherine T. MacArthur Foundation” to support the African Union transitional justice policy framework.